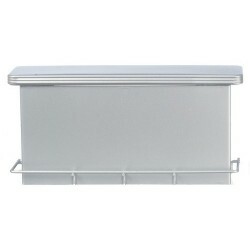 Redecorate and redesign your dollhouse with this 1950's Style Counter. Your decor and collection of miniatures will be taken to another level of fabulosity. 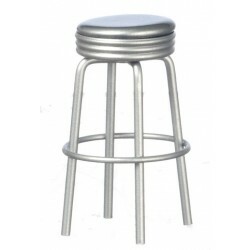 You will love this 1950's Style Silver Stool as it complements your other miniature dollhouse furnishings. Now is the time to design a great new look! 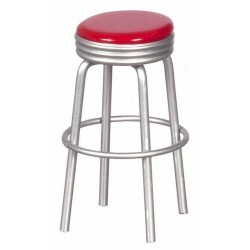 Adding this 1950's Style Red Stool/cb to your miniature collection is just what you need to make your dollhouse a home, and showcase your fabulous taste. You will love this Mex.equipale Table Set/5 as it complements your other miniature dollhouse furnishings. Now is the time to design a great new look! 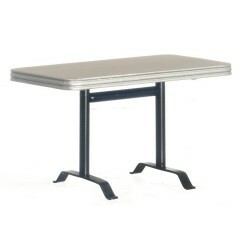 Adding this 1950's Booth Table/silver to your miniature collection is just what you need to make your dollhouse a home, and showcase your fabulous taste. 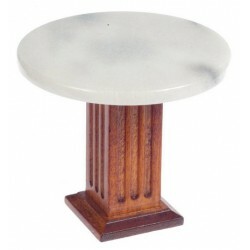 You will love this Round Marble Top Wh.table as it complements your other miniature dollhouse furnishings. Now is the time to design a great new look! 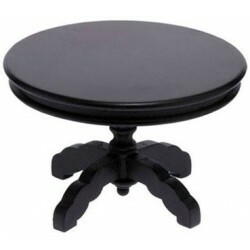 Enhance your dollhouse collection with this Round Pedestal Table, Black. Added to your other dollhouse miniatures, it is a complement for a variety of styles and tastes. You will love this 1950's Style Red Table as it complements your other miniature dollhouse furnishings. Now is the time to design a great new look! 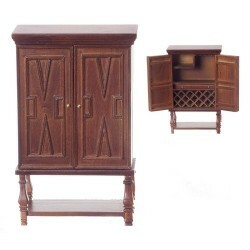 Adding this Chateauroux Bar Cabinet/w to your miniature collection is just what you need to make your dollhouse a home, and showcase your fabulous taste. 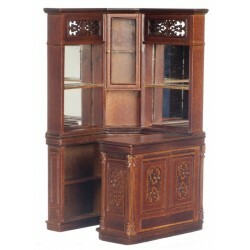 You will love this Library Wine Cabinet/waln as it complements your other miniature dollhouse furnishings. Now is the time to design a great new look! 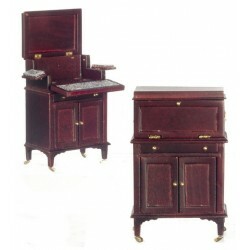 Adding this Mahogany Victorian Cocktail Cabinet to your miniature collection is just what you need to make your dollhouse a home, and showcase your fabulous taste. You will love this Round Marble Top Table/wa as it complements your other miniature dollhouse furnishings. Now is the time to design a great new look! 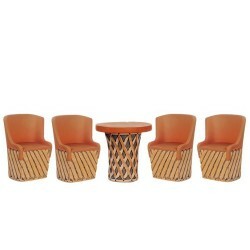 Enhance your dollhouse collection with this 1950's Counter/2 Stools. Added to your other dollhouse miniatures, it is a complement for a variety of styles and tastes. 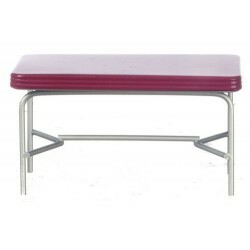 You will love this Counter/2 Stools/access. 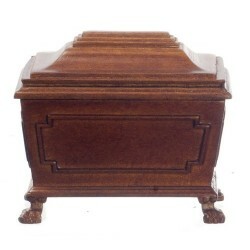 as it complements your other miniature dollhouse furnishings. Now is the time to design a great new look! 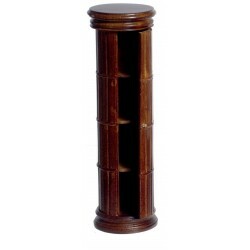 Adding this Bar Stand/Walnut to your miniature collection is just what you need to make your dollhouse a home, and showcase your fabulous taste. 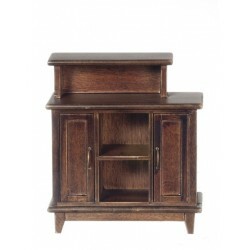 You will love this Orleans Wine Cabinet/waln as it complements your other miniature dollhouse furnishings. Now is the time to design a great new look! 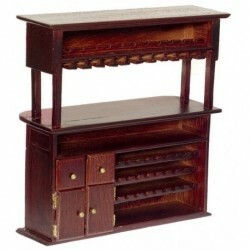 Adding this Bar Mahogany to your miniature collection is just what you need to make your dollhouse a home, and showcase your fabulous taste. 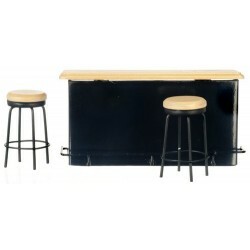 Spruce up your dollhouse with this miniature O'banions Bar. 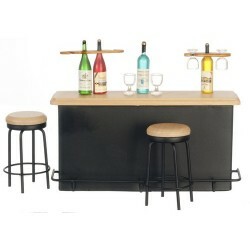 We have many miniature Bars & Tabless for that finishing touch.